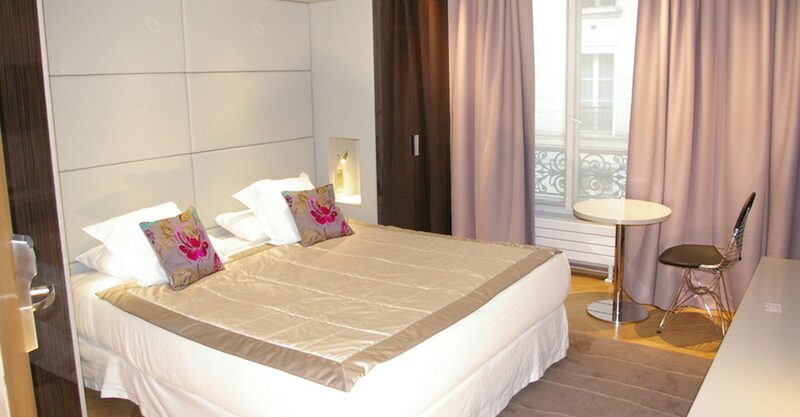 The Tourisme Avenue Hotel has junior suites just 2 km from the Eiffel Tower. Welcome to the Junior Suites at the Tourisme Avenue Hotel. They can accommodate up to three guests in great comfort for a stay with family or friends! The suites are exquisitely furnished with one double or two single beds (180 cm or 2 x 90cm) with leather headboards and a convertible sofa (140cm). A baby cot or hypoallergenic pillows or duvets are available on request. There is a marble bathroom with everything you need, including a bath and a Japanese toilet with the TOTO technology, as well as a desk area. The fabrics in the room are designed by Pierre Frey. The Junior Suites are attractively furnished, with carefully selected materials to make your stay with us even more enjoyable! 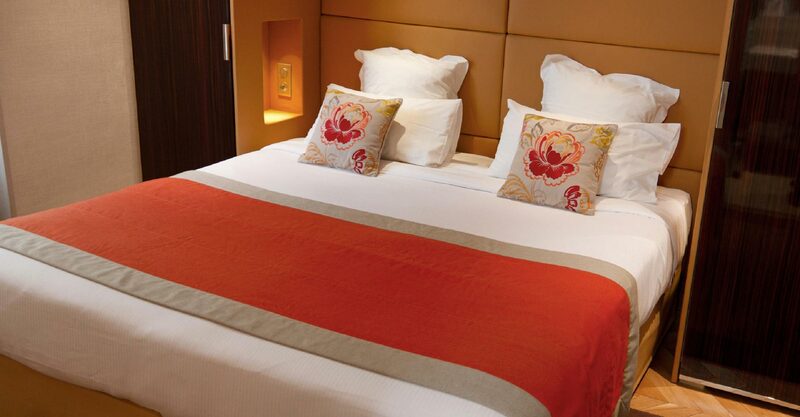 All our Junior Suites are equipped with individual and reversible air-conditioning. The Flat-Screen Television has a selection of satellite channels with a wide range of English-language channels. You also have free and unlimited wifi access, a mini fridge with 2 small bottles of water free, and an individual safe. Terrycloth bathrobes, slippers and a hair-dryer are all included, as well as a welcome tray.